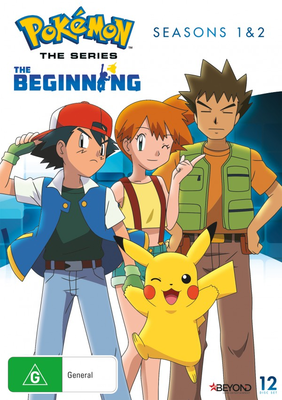 SEASON 1 - Catch the Pokémon story right from the very beginning! Meet Ash Ketchum, a 10-year-old boy from Pallet Town, who has an insatiable curiosity for Pokémon. Pokémon are creatures of various sizes and special powers that inhabit this world along with humans. Trainers like Ash are encouraged to undertake their own Pokemon journeys. Accompanied by his new friend Pikachu, Ash is about to embark on his quest to become the Greatest Pokémon Master Of All Time! 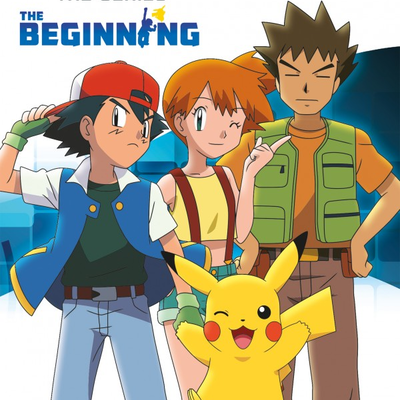 SEASON 2 - After a stop in Pallet Town, Ash, Misty and Brock set out to find a rare and mysterious Poke Ball for Professor Oak. Their quest leads them to the Orange Islands, where Ash decides to battle in the Orange League Tournament. With new friends to meet, new Pokémon to discover, and tough new trainers to challenge them, the adventures never end for Ash and his friends! The Heat is on! Guren Gym! Tokiwa Gym! The Final Badge! The Pokémon League Begins! The Water Field! The Ice Field! Flame Battle! The Grass Field! A Surprisingly Strong Opponent! The Arrival of a Rival! Masara Town! Setting off on a New Trip! Mystery of the Missing Pokemon! The Secret of Kabuto's Fossil! Goodbye Koduck! Return Again Golduck? Sailing Joy! Cross the Stormy Sea! Navel Gym! Snow Mountain Battle! Big Eater Kabigon! Big Panic! The Ghost Ship and the Ghost Pokemon! Meowth Rules!おニャースさまのしま! ?The Great Nyarth's Island!? It's the Southern Islands, Everyone Gathers! Elite Four Kanna! Ice Battle!! The Little Coil on the Prairie! The Monster in the Underground Tunnel!? Yuzu Gym! Type Battle 3 VS 3! !